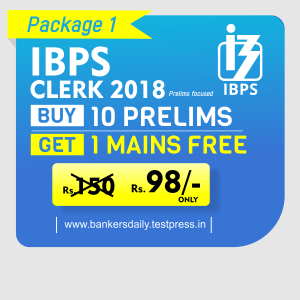 THE HINDU EDITORIAL – November 9, 2018, is one of the must-read section for the competitive exams like IBPS Clerk 2018, Indian Bank PO & LIC HFL 2018. These topics are widely expected to be asked in the reading comprehension, Cloze Test or Error Detection in the forthcoming exams. So gear up your Exam preparation and learn new words daily. 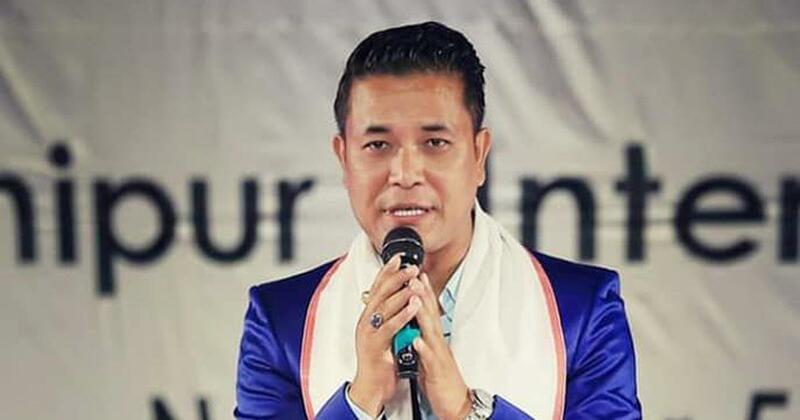 In the run-up to the general election next year, the Centre has announced an important credit stimulus package for micro, small, and medium enterprises (MSMEs). Among the many sops doled out under the new scheme, Prime Minister Narendra Modi has promised the sanction of business loans of up to ₹1 crore within a time frame of 59 minutes, in order to encourage faster credit flow to MSMEs. These companies will also receive an interest subvention of 2% under the scheme and support from public sector units, which will now be mandated to make at least 25% of their overall purchases from MSMEs. It is worth noting that MSMEs, which account for 30% of India’s gross domestic product (GDP), were hit hard by the twin shocks of demonetisation and the implementation of the Goods and Services Tax over the last couple of years. Further, in the aftermath of the IL&FS crisis, which has affected the amount of lending done by non-banking financial companies to the MSME sector, the government would be looking at the scheme as a tool to improve credit flow and the pace of job creation in the economy. A study by officials of the Reserve Bank of India in August 2018, however, showed that growth in credit flow to MSMEs had recovered to pre-demonetisation levels by the April-June quarter, just before the liquidity crisis. The scheme has signs of state-led economic planning written all over it. The biggest risk of a credit stimulus is the misallocation of productive economic resources. Pumping extra credit into MSMEs now may well lead to a temporary boom and enable a feel-good atmosphere in the run-up to elections, but it can lead to a painful bust when the stimulus ends some day. Another unintended consequence is the likely deterioration in credit standards as financial institutions are pushed to lend aggressively to MSMEs. Efforts to expedite business loan approvals may be welcome from the point of view of growth and job creation, but they rarely end well when motivated by political reasons. Conceptually, the Prime Minister’s latest credit scheme is no different from the MUDRA loan scheme, which has been troubled by soaring bad loans. In September, former RBI Governor Raghuram Rajan had warned that loans extended under the MUDRA scheme could turn out to be the source of the next financial crisis. Care needs to be taken to see that the new MSME loan scheme does not pose a similar risk in the future. Also, the demand that PSUs must procure a quarter of their inputs from MSMEs could breed further inefficiency in the economy. In all, the MSME loan scheme is yet another example of how bad economics can make for good politics. Far from achieving a desirable ‘monetary-fiscal coordination’ in India today, the Reserve Bank of India (RBI) and the government give the impression that they are not on the same page even as far as an understanding of their roles is concerned. This may be seen in statements by them on websites, Twitter and in the old-fashioned mode of the public lecture given by the Finance Minister and a Deputy Governor of the RBI, respectively. The RBI suggests that its independence is being violated while the government rationalises its intervention in terms of its concern for the economy. How do we make sense of these positions? Even at the time when the idea of central bank independence began to germinate some two decades ago, this was understood to mean a ‘functional’ independence. That is, the bank would be unconstrained by the government in its functioning, which includes both the instruments it uses and how it uses them. However, its autonomy was not to extend to ‘goal’ independence. What the goals of the central bank should be were to be chosen by the government without reference to the bank. The main issue here was whether the bank should focus on inflation alone or also on the level of employment. Within a decade of this debate, it had been conceded that the focus would be exclusively on the former, and monetary policy came to be identified with ‘inflation targeting’. Two points may be mentioned in this context. First, the discourse was solely among interlocutors from Western democracies, ensuring the issues were those related to their economies. Second, even as the major central banks of the world shifted to inflation targeting, in yet another example of American exceptionalism, the U.S. did not revise the goals of the Federal Reserve. It was to continue focus on maximising employment while keeping prices stable, a sensible recognition of a possible trade-off between these goals. In India where for close to a quarter century political parties of all hues appear to suggest ‘what is good for America is the best for India’, this has been missed. In 2015 the RBI was by law, in line with a “modern monetary policy”, expected to target inflation. It was to remain the banking regulator though. Once we are aware of how central bank independence was first sought to be understood and of the agreement between the RBI and the Government of India in 2015, it is not difficult to separate the grain from the husk in the public spat between the two playing out in the media. The issues of contention happen to be the corrective action to be taken for stressed banks, the prudential norms to be adopted by financial institutions, the easing of liquidity and the sharing of the surplus generated by the RBI. Here, barring the last, all others are in the RBI’s bailiwick so to speak. On the other hand, on the sharing of the surplus, it is understood that the Government of India legally is the owner of the surplus generated by the country’s public institutions. Even under this architecture, though, all care must be taken to ensure that the central bank’s reserves are of a level commensurate with the extent of the financial sector and the potential degree of systemic risk from its malfunctioning, which can vary. So, we can’t go just by formulae here. Apart from the issue of sharing the surplus, the RBI should be left alone by the government to decide on the right course of action. This derives not so much from a notion of central bank independence as it does from the point of view of a credible governance policy. The Government of India would have chosen the Governor, participated in the choice of his deputies and had a say in the appointment of even the independent members of the central board of the RBI. In addition, the board has representatives of the government on it. It should now be left to this body to decide on the precise corrective action for banks with high NPAs, the desirable state of liquidity and the prudential norms to be observed by banks. The RBI is the banking regulator after all, and for the government to attempt to direct it would constitute micro-management. Stepping away from legal niceties, there is reason to believe that some of the actions being sought to be imposed on the RBI today could jeopardise the stability of the economy. 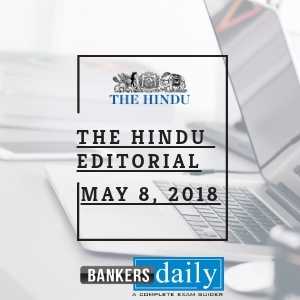 While acting as the lender of last resort can be stabilising, under no circumstances would it be advisable to lower prudential norms in the presence of stressed banks. The government’s concern for the health of the medium and small enterprises is well-founded. After all, they were among the most affected sections following the demonetisation of 2016. If, in the spirit of contriteness as it were, the government wants to reach out to them, the right course would be to provide interest rate subvention, rather than to force the RBI to tweak its lending norms. There is a severe lack of judgment in loan melas promising online sanction in less than an hour. There is the suggestion in this of the political business cycle, a government trying to nudge the economy prior to an election. The resistance of the RBI top brass to this desperate action is understandable. 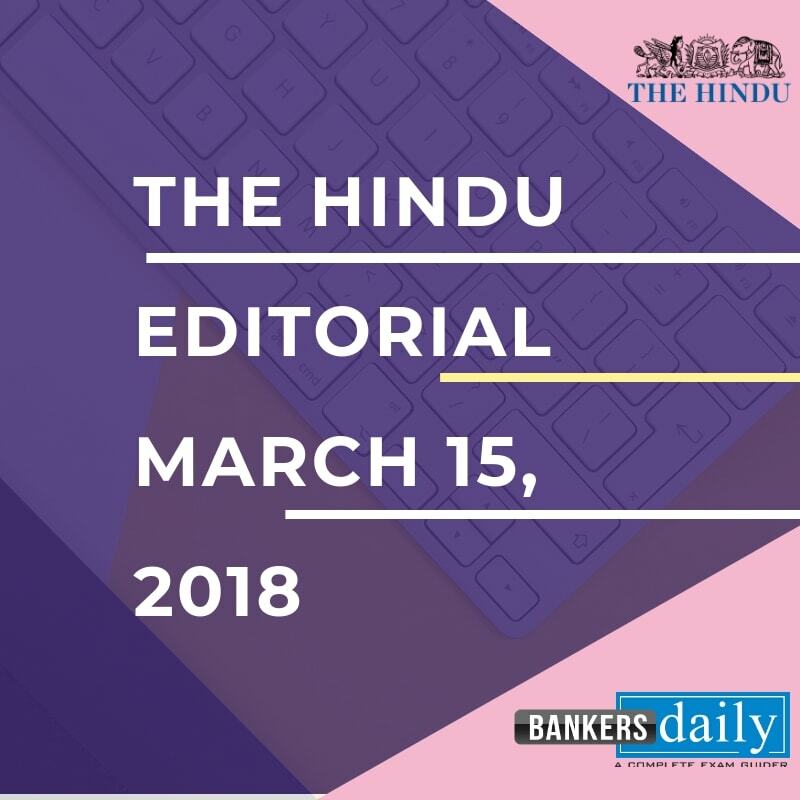 Whatever may be the misfeasance of the government in its recent dealings with the RBI, however, it would yet be acceptable to review its own performance in the sphere in which it has an untrammelled independence, namely monetary policy. Under this arrangement it has control over the interest rate. Over 2013-2018 there has been a 5 percentage point swing in the real interest rate in India, moving from a negative to a positive level, making it among the highest in the world, much higher than that of China. This is clearly the consequence of an exclusive policy focus on inflation from even before inflation targeting was formally adopted by Parliament in India. It may well have contributed to slow industrial and export growth, due to a real appreciation of the rupee, and a rise in NPAs even after their existence had been recognised. If this is the monetary policy that central bank independence brings with it, we might just be a little sceptical of the value of the independence itself. Meaning : a thing of no great value given or done as a concession to appease someone whose main concerns or demands are not being met. (n), soak up liquid using an absorbent substance(v). Meaning : distribute shares of something(v). Meaning : an official order or commission to do something(n). Meaning : a formal pronouncement from an authoritative source(n). Meaning : not planned or meant(adj). Meaning : the process of becoming progressively worse(n). Meaning : ready or likely to attack or confront; characterized by or resulting from aggression(adj). Meaning : fly or rise high in the air(v). Meaning : obtain (something), especially with care or effort(V). Meaning : relate to; be about(v),a matter of interest or importance to someone.(n). Meaning : attempt to explain or justify (behaviour or an attitude) with logical reasons, even if these are not appropriate(v). Meaning : a person who takes part in a dialogue or conversation. Meaning : identification of a thing or person from previous encounters or knowledge(n). Meaning : reconsider and alter (something) in the light of further evidence(v). Meaning : a colour or shade(n). Meaning : however (indicating that a factor qualifies or imposes restrictions on what was said previously)(adv). Meaning : the dry outer covering of some fruits or seeds(n). Meaning : eject saliva forcibly from one’s mouth, sometimes as a gesture of contempt or anger(v). Meaning : an amount of something left over when requirements have been met; an excess of production or supply(n). Meaning : corresponding in size or degree; in proportion(adj). Meaning : marked by exactness and accuracy of expression or detail(adj). Meaning : in a way that is uncertain, indefinite or unclear; roughly(adv). Meaning : a grant of money, especially from a government. Meaning : feeling or showing a hopeless sense that a situation is so bad as to be impossible to deal with. Example : . It is a form of holding administrative subjects responsible for their misfeasance to compel administrative subjects to perform legal duties. Meaning : (of wind, water, or other natural agents) gradually wear away (soil, rock, or land)(v). Meaning : not allow to be seen; hide(v).